Dr. Weiss received his B.S. degree from the University of Maryland at College Park, and his M.D. degree from the University of Maryland School of Medicine at Baltimore. He took his residency training in Anatomic Pathology at the Brigham and Women's Hospital, and fellowship in Surgical Pathology at the Stanford University Medical Center. Dr. Weiss is Senior Consulting Pathologist for Clarient, a GE Healthcare Company, located in California. He was Chairman of the Department of Pathology at the City of Hope National Medical Center Duarte, California and President and Chairman of the Board of California Cancer Specialists Medical Group. 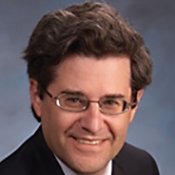 Dr. Weiss serves on the editorial boards of the American Journal of Pathology, Applied Immunohistochemistry and Molecular Morphology, American Journal of Surgical Pathology, Human Pathology, Modern Pathology, Histopathology, and Pathology Case Reviews, among others. He is a member of the Board of Trustees, Southern California Lymphoma Group, and was a participant in the 4th WHO Classification of Tumours of Hematopoietic and Lymphoid Tissues. His diagnostic expertise is in tumor surgical pathology, lymph node pathology, and immunohistochemistry; his research interests are in Hodgkin lymphoma, non-Hodgkin lymphoma, the Epstein - Barr virus, and adrenal pathology.